The ace techno boffin and sometimes Botanist Dominik Eulberg has been consipcuous by his absence from these pages of late. Perhaps he's been getting his hands mucky on an expedition somewhere but we're glad to have him back with this very smart release from Traum. 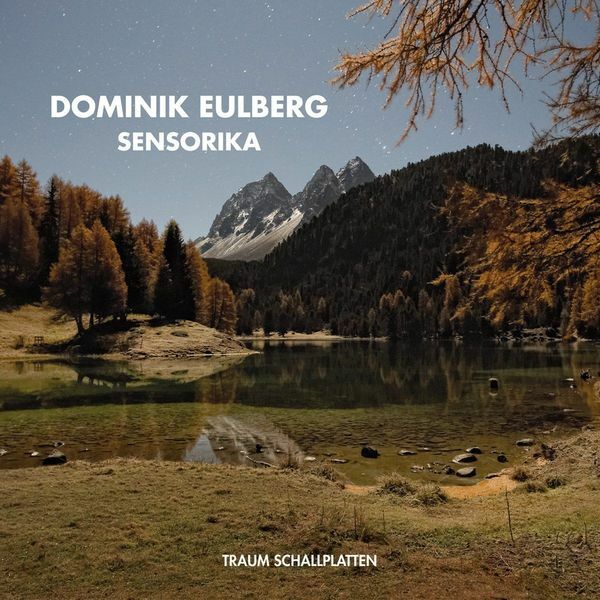 Eulberg occupies his own quirky space in the world of minimal tech house, always managing to keep his rhythm in line with the rest of the scene but also to diguise his sounds with an organically rippling texture of field recordings applied discreetly. 'Aurora' is the perfect example, a powerful tech house rhythm with a low dipping bass and gently whirring rhythm mechanics placed within a wonderous environment of cloud-drift synthlines, which momentarily break for a glimpse of melody before changing the light just as quickly and dipping back in to the groove. No surface feels flat but bristles with a tactile nature that Eulberg specialises in. 'Sansula' changes the landscape abrubtly with a petite musicbox melody over strong shuffling house rhythms, to which Max Cooper applies some soft focus neo-trancing dynamics for a heartwarming effort. Finally Jonas Koop's 'Dubfreak Mix' provides the EP's toughest moment with a rolling bass weighted techno groove compatible with Radioslave or Locodice. Top 12"!